An endless Conclave is the setting for Roberto Pazzi’s surreal fable about the papacy. Months go by and the cardinals cannot decide on the future pope. The world grows impatient, but time within the Vatican has an oneiric, suspended, symbolic quality. Political intrigue and fantastic events intrude on the conclavists’ opulent comfort, steal their dignity, and undermine their faith. The end result is a work of fabulist fiction of the highest order. A dazzling reinvention of history that has all the narrative delights of a fine novella, combined with the hard luminous glow of epic verse. A satiric fable written in the spirit of magic realism with all its surrealistic outcroppings. 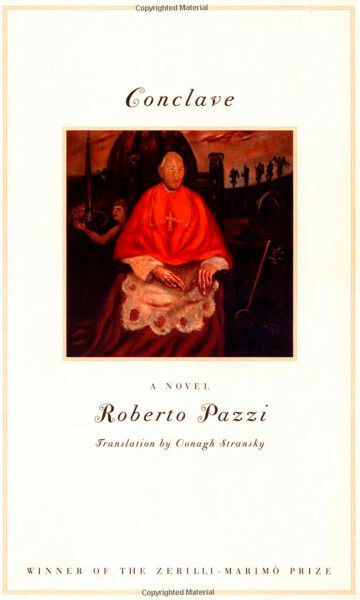 Composed in prose so rich and finely tuned-and seamlessly translated by Stransky-that readers can smell the incense, the novel ends when Pazzi's assembled cardinals at last elect a most unlikely candidate. As clever as Calvino, and funnier, Pazzi deserves a larger readership in this country. A high-concept, seriocomic tale from the prizewinning Italian author…. A mixed success, but a work of genuine ingenuity and charm.